Chelsea’s 100 percent unbeaten run in the Premier league in the current season came to an end as resilient West Ham held the London side to a barren draw on Sunday afternoon. The Blues began the weekend top of the table but recent changes in events have seen them drop to third place, top points behind current league leaders Liverpool who the face next weekend. Sarri in his post-match interview admitted that the Blues a year behind the current league contenders. 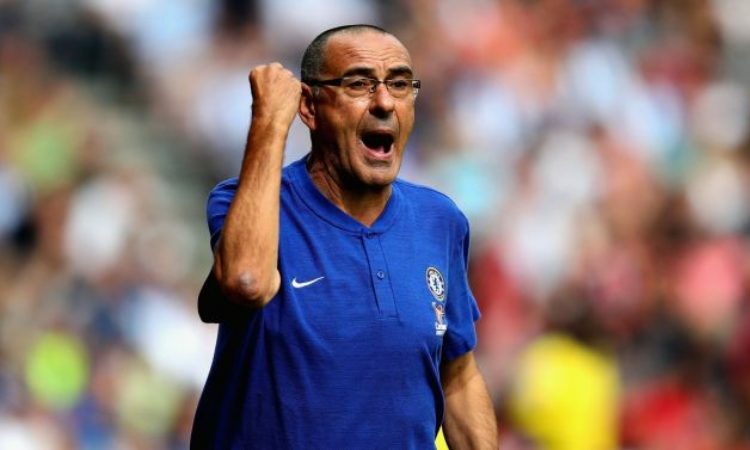 “They (Liverpool) are a step forward of us at this moment,’ said Sarri in quotes via The Mail. “We have to play against a very, very good team who have worked with the same coach for three year”. “We have started to work together 40 days ago, less 10 days for the international break, so for us it is a bit early”. “We have to work and then, maybe, in one year we we will be at the same level as Liverpool”. “It will be a really difficult match. Maybe spectacular but for us, difficult. I don’t think there is an easy game against Salah, Firminho and Mane”. The manager’s intentions are yet to be known on the subject matter with a school of thought stressing that the Italian tactician could be serious while another party believes that the former Napoli boss could be trying to playing down the intensity of the game with the game of the mind. Meanwhile before Liverpool’s visit to Stamford Bridge next weekend, Chelsea visit Anfield on Wednesday in the Carabao Cup.